A Larger Selection of Cameras & Screens than Anyone in Orange County! 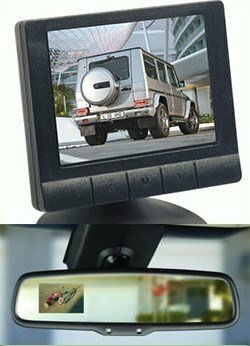 A backup camera (rear view camera) is one gadget that will easily pay for itself. Starting as low as $295 for camera, screen and quality installation, all it takes is one minor fender-bender and you’ll be wishing you had one. If you have kids or pets, a backup camera is even more essential! In fact it’s so essential that Congress passed a law requiring all cars after 2018 to have them! With a huge selection of backup cameras to choose from and the expertise and experience to guide you to the right one for your vehicle. From hidden bumper mounts to integrated license plate frames, to larger, more powerful, illuminated cameras for work trucks. 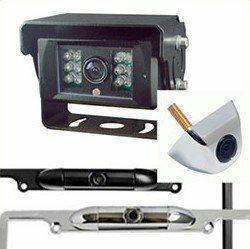 We even do side mount cameras for RVs and other special applications. Screens come in all shapes and sizes as well. It’s easiest to do a backup camera in addition to a new big screen, NAV or DVD player. Or we can install a new rear-view mirror, or separate screen that we can mount anywhere. Regardless of which screen you choose, the image will only come on when you put the car in reverse, or you can choose to have it stay on with the push of a button. No matter how you choose to do your backup camera, have confidence that So Cal Auto Sound has done hundreds of rear view cameras in cars just like yours, and as with all our work, the wiring will be done invisibly and professionally with our exceptional lifetime labor warranty.